DVDs on Gun Issues and More! These videos deal with gun politics and gun rights, and technical subjects such as stopping power, gun cleaning and maintenance, underwater shooting, high-speed photography, plus some specialty items (women and guns!) and even knife fighting. The best gun is the one that keeps firing reliably. As any regular shooter knows, guns need cleaning and maintenance to continue to perform. These special videos walk you through the steps to disassemble, properly clean, lubricate and reassemble your firearms for maximum reliability and long life. Taught by world renowned pistolsmith and combat master champion shooter Bill Wilson. $24.95 list each, our price only $19.95 each! 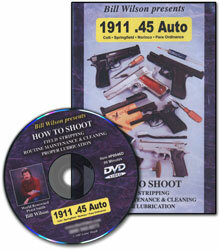 Model 1911 .45 Auto, 90 minutes. Beretta Model 92F, 84 minutes. Glock All Major Models, 86 minutes. J. Michael Plaxco, $24.95 list, our price only $21.95! 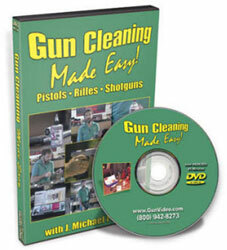 Let this world-renowned gunsmith and competition shooter show you easy-to-follow gun cleaning techniques that will help you keep your guns in top condition for accuracy and good looks. Shows you what to do and what not to do, for revolver and semi-auto handguns, bolt and semi-auto rifles, and pump and semi-auto shotguns. Includes an overview of cleaning products available. Keeping your guns clean is as important as being able to shoot straight. $19.95 list, our price only $14.95! 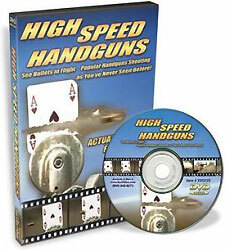 A super bargain, covers all major sidearms at once: Includes 105 Handgun Manuals, 7 Reloading Manuals and 101 targets. All in PDF format ready to view on-screen or print out. $29.95 list, our price only $24.95! You've heard that disarming the public is the first step toward genocide. This shocking video documents the unthinkable slaughter of unarmed human populations by their governments during the last century. The biggest killers on earth are not the criminals -- they're the tyrannts who run renegade government forces against their own people -- unarmed defenseless people. "If slaves had weapons there would be no way to keep them slaves." The U.N does nothing or makes matters worse, and people who would disarm Americans bring us closer to the disaster "that can't happen here." Watch this alarming, gut-wrenching video, and show it to your friends. It could be a life saver. by Kelly Daley, $22.95 list, our price only $19.95! 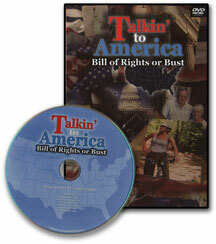 This made-for-TV production is the video to own if you want to help people understand the Bill of Rights, and why they should personally support our freedoms. By focusing on the entire BOR it gets the point across about gun rights better than anything else available. It is a heart warming, endearing video that instills great pride in what makes America great, and is perfect for showing to friends, relatives and people who need it most -- the ones who just don't get it about guns, liberty, personal responsibility and limited government. An excellent teaching tool for classrooms from grade school through high school. Lenny Magill, $29.95 list, our price only $19.95! Imagine a high-speed video camera capable of recording images at 12,000 frames per second. Now, imagine what you can see when you record handguns shooting a variety of objects. The images are awesome... the shooting is incredible... the accuracy is fantastic! You'll see bullets in flight, a playing card cut in half not once but two times in a row, shooting at water jugs, watermelons, cabbage, eggs and even directly at the camera! Images of gunfire that have never been visible before. This program is the result of 15 years of research and desire and is as much fun to watch as it was to produce. $34.95 list, our price only $29.95! Gun owners have always debated what happens when a bullet does its work -- now you can see with your own eyes. 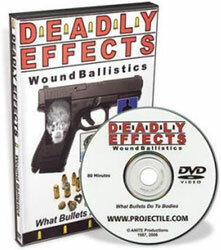 Using medical footage and "tissue simulants" find out about actual stopping power, knockdown force and shocking power. What is the importance of bullet weight, penetration and bullet type? What causes incapacition? These questions and more are discussed in this professionally produced video. A serious study of a serious subject for those with a professional or special interest. Contains graphic footage some may find distasteful. 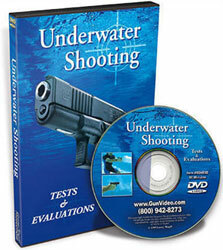 A blockbuster production answers the mysteries and demonstrates the effectiveness of handguns underwater. What happens when you shoot a Glock 19 completely submerged? How about a Colt 1911, S&W revolver, Sig Sauer P-229 or a Ruger 22? Ten different handguns in all are shot, tested and evaluated underwater. Are handguns effective underwater? Is it safe to fire that way? How far and how fast will the bullet travel? Will the automatics cycle another round? Are revolvers better? How loud is gunfire underwater and above water? Get the video and learn the answers in this fantastic production featuring underwater camera angles, popular handguns, and lots more. They're small, lightweight, very popular and... extremely dangerous even if they seem innocent! The ultra-popular "little knife" with a 2- to 3-inch blade can spell big trouble. This video displays and demonstrates the most popular little knives now available and shows what they can do when used viscously and violently against an aggressor. You'll see Benchmade, Spyderco, Cold Steel, and even Leatherman and Gerber multi-tools like you have never seen them before. You'll have a new-found respect for those little knives after you see what they do to the star of this show..."Meat-Man." If you typically carry a small blade, see what that little puppy is capable of doing. A graphic look at the awesome power of a 4-inch folder when placed in the hands of a moderately trained individual. You'll see an incredible cutting demonstration with the star of the show, "Meat Man." 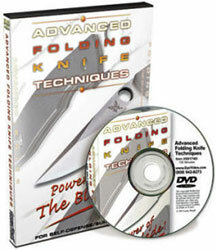 Plus, examine basic and advanced knife fighting skills, a realistic approach to what happens in a knife fight, what to look for and what to do when a knife is presented towards you, what type of knife is most recommended for self-defense, and why. Incredible and beautiful cutting demonstrations, and why some modern knife fighting experts do not truly understand the power of this blade. This is a great reference, because it wakes you up to the reality that there are a lot of people who carry these knives and don't know what this blade can really do! Unlike anything else we offer, the most incredible video of its kind. Watch 14 of the sexiest southern California beauties scantly clad in string bikinis and high heels firing the sexiest full-auto machine guns ever produced. They're all here...Uzi, MAC-10, MP-5, AK-47, M-16, MP-K, Thompson and several others are handled and blasted by the wildest bunch of babes ever. If you like girls, you'll like this DVD. If you like machine guns... you'll love it.